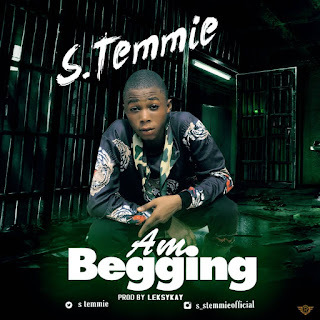 On the heels of widespread anticipation, S_Temmiecomes through with another official single titled "Am Begging". This is however not surprising as S_Temmie already delivered on his recent song "Sister" which went viral and gained a lot of attention and airplay. S_Temmie definitely did not disappoint, as he did utmost justice to the song which is guaranteed to be the new street anthem.